Condition: Good condition. No chips, cracks, or restoration. Colours still lovely. **There are some fine scratches to the inside base from usage. 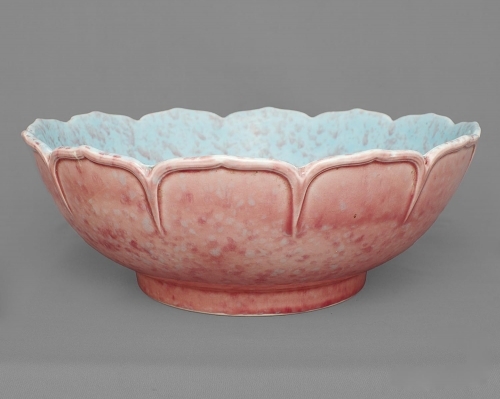 Design: Crown Ducal, Pattern - mottled two tone ie pink lustre on outside and blue on inside. 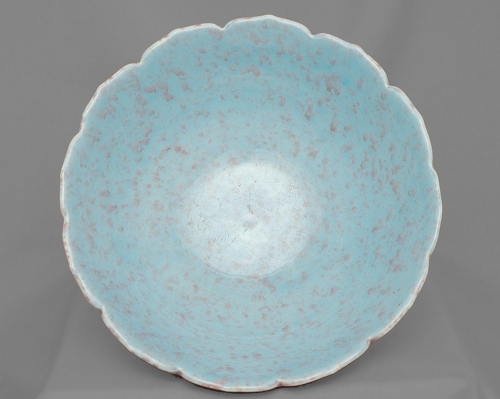 Beautiful scalloping to rim, opening up almost like petals on a flower. Dimensions: Unpacked weight 970gm. 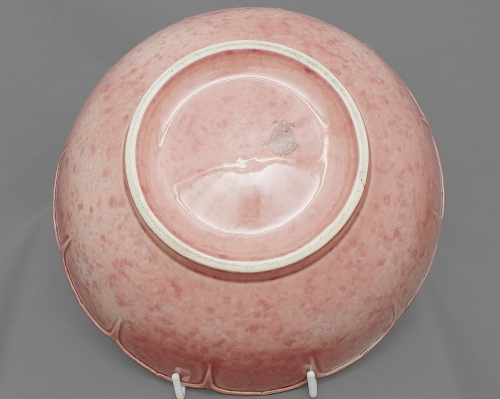 Size:- 10" (25.5cm) diameter x 3 3/4" (9.5cm) deep. Date: 1940s estimated date of this crown ducal backstamp. 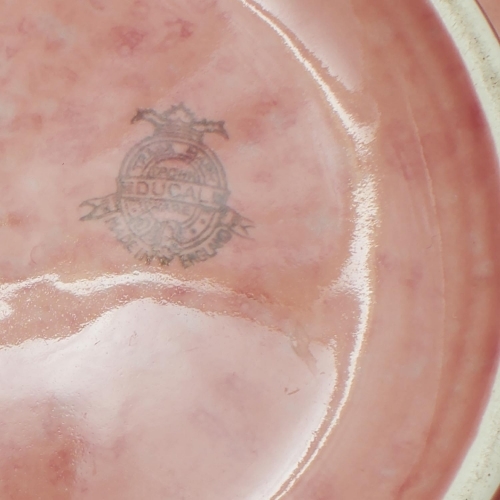 *Vintage pottery can often have age marks to surfaces which are not easily spotted. *Sometimes, due to age, a SET may not exactly match in shape and colours. *Vintage items will NOT be the quality of new, but will be the quality of collectable. Equally, sometimes colours may not be exactly as portrayed in the photograph, due to flash. We do our best to show our products but it isn't always obvious that it may differ slightly in shade.